Samsung’s latest flagship, the Samsung Galaxy S10, puts together the best of what the company has achieved in consumer-ready hardware and software into a smartphone that will give competitors some sleepless nights. The Galaxy S10 offers the best Samsung experience yet, made possible by 10 years worth of effort in this segment. Despite all of its high points, the Samsung Galaxy S10 may still have a few sore areas which people will find out once they start exploring the phone. As it turns out, the Galaxy S10 may not be able to use custom themes from Swift Installer or Substratum, similar to what has been happening with the One UI update on the Samsung Galaxy S8 and the Samsung Galaxy Note 8. TK Bay from our YouTube channel discovered that the US unlocked Galaxy S10+ does not allow third-party overlays to be used. This has been discovered on the Samsung Galaxy S10+ SM-G975U1, which is the unlocked Snapdragon variant, with build number PPR1.180610.011.G975U1UEU1ASAU with OneUI version 1.1. When TK tried to install and use XDA Recognized Developer Zacharee1‘s One UI Tuner app to move the status bar clock to the right, the overlay that was to be installed did not install successfully (see image 1 in the gallery above). We then tried to have the overlay installed via ADB, but this resulted in an error too (image 2). The same situation persisted with the Swift Installer (image 3). However, we can confirm that custom themes from the Galaxy Store continue to work, as can be seen in the screenshot of the About Phone page (image 4). So, prima facie, it appears that Samsung is blocking users from installing custom overlays from apps like Substratum and Swift Installer, but has no restrictions in place for custom themes from the Galaxy Store. 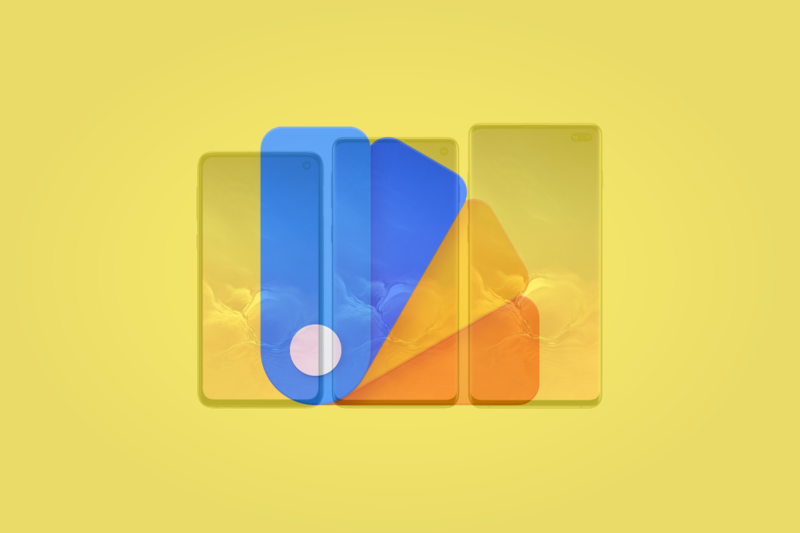 The ability to install overlays was restricted to platform signed system apps in Android Pie, which meant that you would need root to install them. Some One UI betas and stable releases allowed installation of custom themes that were not signed with the platform signature, but newer releases for One UI have apparently removed this behavior. The information so far applies only to the US unlocked Galaxy S10+. We need to confirm if other Galaxy S10 models have the same restriction, which is a possibility if they are running the same build.